Matthew Bellamy of Muse closing out the main stage Saturday night. 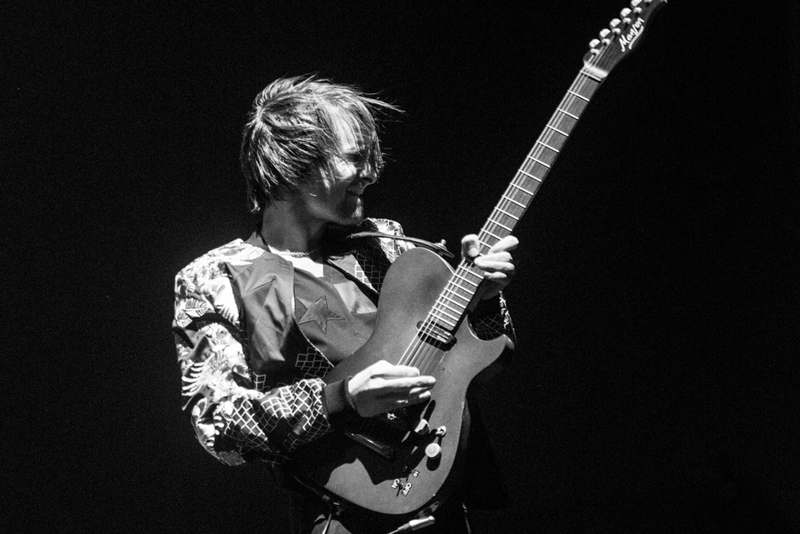 Miles Kane and Matt Bellamy from Muse, who recently performed at the KAABOO Music Festival, have recently joined together on stage at a Los Angeles party to preform Beatles songs. This performance was for Jamie Davis’ 40th birthday party. According to NME, the duo played two tracks from the 1963 album Please Please Me at the party. The full list of songs performed were “I Saw Her Standing There”, “Please Please Me”, “Can’t Buy Me Love”, “Back In The USSR”, “The Night Before”, “Twist & Shout”, and “Money (That’s What I Want)”. The talent manager David Adcock released a video of the super group shown below, on Instagram. In the video, there are segments of the group singing each song with smooth transitions in each. The duo was also joined by Jet’s Chris Cester, Nine Inch Nails’ Ilan Rubin and The Zutons’ Sean Payne.